In another close and party line vote (52-47) on one of President Trump’s cabinet nominees, The U.S. Senate has confirmed today Congressman Tom Price (R-Georgia) as the Health and Human Services secretary. dxU.S. Senator Roy Blunt (R-Missouri) says Price is the best person to help repeal the Affordable Care Act. Democrats, including Missouri U.S. 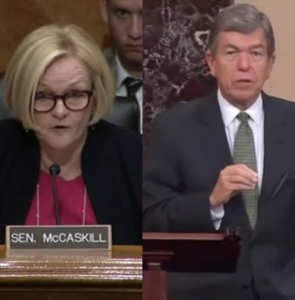 Senator Claire McCaskill, have relentlessly opposed Trump’s nominee because of his efforts to undo the federal healthcare law without a replacement. McCaskill could not participate in the confirmation vote because her husband was scheduled to have heart surgery this morning.